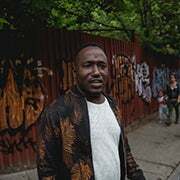 Hannibal Buress is a mildly popular comedian, writer, podcast host and actor who is a favorite of fans and critics on big and small screens alike. The New York Times called him one of the most “supremely gifted and respected” comics around and the FADER said subscribing to his podcast, Handsome Rambler, is a must. He is also a cast member on Comedy Central’s hit series Broad City, as well as the former co-host of Adult Swim’s The Eric Andre Show. 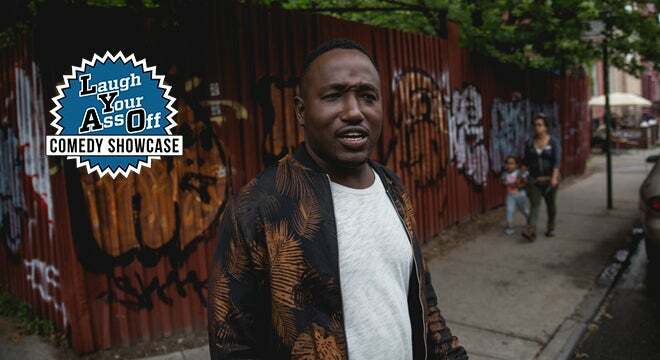 Buress is a favorite on the late night circuit, recently appearing with Dave Chappelle, Chance The Rapper, Chris Rock, Nas and Ms Lauryn Hill, and has written for NBC’s Saturday Night Live as well as 30 Rock. With his successful podcast Handsome Rambler, Buress plays host to an eclectic mix of guests, from rappers Vic Mensa, to fellow comedians The Lucas Brothers. Since his role in the comedy feature Daddy’s Home alongside Will Ferrell and Mark Wahlberg, Buress has appeared on various big screens for Sony and Marvel in Spider-Man: Homecoming, and the Baywatch revival for Paramount studios. Hannibal also lent his voice to the animated films The Secret Life of Pets and Angry Birds. Buress recently wrapped filming on feature film,TAG, staring alongside Jan Hamm, Rashida Jones, and Isla Fisher. He has also joined the cast for Universal’s upcoming comedy Blockers directed by Kay Cannon. Both comedies are set for 2018 releases. His third hour standup special Comedy Camisado is currently streaming on Netflix.